When I first learned I was pregnant with Bronco was two days before my 27th birthday (I just had to count back and figure out how old I am...I would say this is pregnancy brain but Josh can tell you that since I turned 25 I am completely incapable of remembering my age. I think this is a defense mechanism). I was in complete disbelief. Our journey to parenthood was not one that was short and sweet but rather a longer winding road that had started more than a year earlier. I managed to keep the secret to myself for a whopping day. Almost immediately I just "knew" it was a girl. I would act like, "Eh, I'm not really sure!" if asked but deep down I was very sure. It was a girl! All signs pointed to it. (Don't even ask what signs because now it all seems so silly!). While the 3D and early ultrasound locations will allow you to come as early as 15 weeks, I just wasn't 100% comfortable doing so - so at week 18 exactly we went to visit a friend at Here I am Mommy. She hadn't been looking at her screen long when she asked, "So did you guys want to find out gender today or me to write it down?" 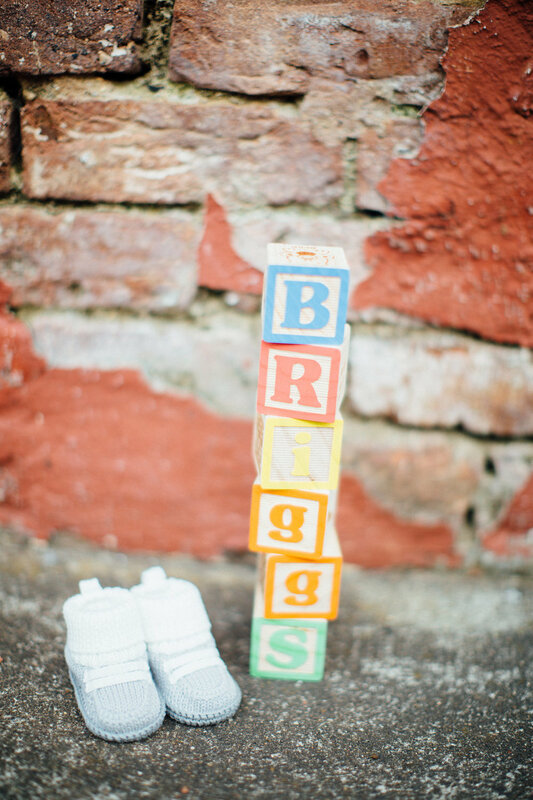 While I think the concept of a gender reveal party is very fun and cool for the families, it's not really my style - I wanted to find out right away! She circled something on screen and asked if I could see it. "The umbilical cord?" I asked. "No, that's not an umbilical cord...."
Here's where his nickname, Bronco, comes in. We truly had no idea on a boy name. We knew that his middle name would be William after Josh's grandpa, but that was it. Every name we would throw out the other would go, "ehhh I don't think so." For us, boy naming was a MUCH harder experience. After looking through websites one day for name inspiration and Josh said, "Welp. I have decided that it doesn't matter what name we pick. I am calling him Bronco. Bronco Bagby has a nice strong ring to it. Bronco it is." While I initially laughed, we had nothing to call the poor nameless baby so we both ended up calling him Bronco in conversation - which then picked up steam. He quickly became Bronco...to everyone. During this time we DID have a shortlist of names. My process was to call Bronco one of these names every day to see what "felt right". (It was a highly scientific process). I read things online saying, "Yell out a name and make sure you would be comfortable saying it on a playground." and "Talk to the baby and call him/her the name and see if it rolls off your tongue well." All of these things FELT silly, but hey when you have no definite ideas you do whatever it takes. At the same time we would get asked everywhere we went, "So what is his name?". To which we would both have to reply that he didn't actually have one. I think that people probably were under the impression I was just saying that while secretly keeping it to myself - which couldn't be further from the truth. I would have LOVED to have a name to share with everyone we came in to contact with ... outside of Bronco, of course. So, on week 23, after much deliberation, Bronco finally got a name. After the decision was made we both feel so sure about it. Josh likes the name Briggs so much that he's decided he won't call him Bronco and will stick to his actual name. That remains to be seen..I have a feeling Bronco is going to be a slow one to die since I myself even still call him that at times.